Gurcharan Rampuri is a Vancouver based Punjabi writer who has published over thirteen collections of poems, won over twenty literary awards from India, Canada, Denmark and USA; and his poetry books have been translated in Urdu, English and Hindi. He was one of the five poets in the ‘Anthology of Modern Punjabi Poetry‘ published in Russian from Moscow in 1957, and his poems were featured in Green Snow, an anthology of Asian poets in Canada. The Circle of Illusion: Poems by Gurcharan Rampuri (2011, translated by Amritjit Singh & Judy Ray), is Rampuri’s latest publication. Born in Rampur in the Indian Panjab, Rampuri began writing in 1944, and he had published three collections of poems (Kirnan Da Ahlanan 1963, Qaul Qarar 1960, Kamkan Di Khushbo 1953) before coming to Canada in 1964. Rampuri settled in Vancouver, and in the next two decades played a crucial role in encouraging Punjabi literary groups, programs and events. In 1972, he published Anhee Gali and Kanchni, two books in one volume. His other titles include Qatalgah (1985), Agnaar (1993), Aj Ton Aaranbh Tak (2001) and Dohavali (2004). Two CDs of his poems titled Nadi Naad were released in 2005. Among his many awards are: Punjabi Sahit Academy, Chandigarh, India in 1982; Life Achievement Award for Outstanding Contribution to Punjabi Language, Literature and Culture from Vancouver’s Punjabi Lekhak Manch in 2007, and Harjit Kaur Sidhu Memorial Achievement Award for Contribution to Punjabi Literature in 2009. Jarnail Singh Sekha is a BC-based author whose first book was a collection of short stories titled ‘Udaasay Bol’ that was published in India in 1992. Four years later, his first novel ‘Dunia Kaisi Hoi’ came out, and it became part of postgraduate curriculum at Gurunanak University; the book is now running its fourth edition. Since then he has published ‘Bhagorra’ in 2003, another novel that has enjoyed three editions so far, with a Hindi edition in 2004. Sekha’s other titles include ‘Apna Apna Surg’ (stories, 2003), ‘Dullay de Baar Tak’ (travelogue 2005. Urdu edition ‘Vancouver se Lyalpur’ in 2009), ‘Vigocha’ (novel, 2009, 2 editions. Hindi edition ‘Pighalti Yaadein’ in 2016), ‘Cheteyan de Chilman’ (memoir, 2013), ‘Be-Gaanay’ (novel, 2014). Sekha has edited various Punjabi books, and most recently, he has script-converted and edited the Gurmukhi edition of Professor Ashiq Raheel’s novel ‘Navekla Sooraj’. He is a founding member of Likhari Sabha Mogha, and has worked with Kaindri Lekhak Sabha and Punjabi Sahit Academy Ludhiyana, in India. In Vancouver, he is with Punjabi Lekhak Manch where he has served in various positions of responsibility. Sekha is also a founder and director of BC Punjabi Cultural Foundation that began in 2003 to present in BC a yearly Punjabi book festival in partnership with Chetna Parkashan. Sekha has won Life Time Achievement Award from Harjit Kaur Sidhu Memorial Program 2016. 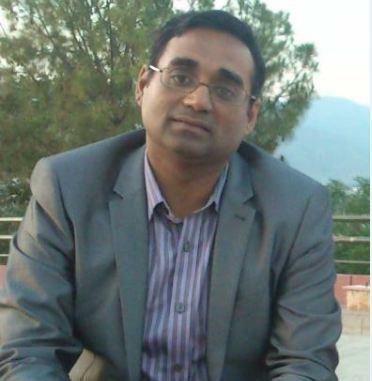 Mahmood Awan is a Poet, Essayist and Translator. His published works include Raat Samundar Khed (Let’s Play with the Night Sea; 2002) and Veeni Likhia Din (A Day etched on her wrist; 2012). Veeni Likhia Din received Masud Khaddarposh Award for the best Poetry book of the year 2012, Baba Guru Nanak Award (2012) and MehkaaN Adbi Award (2012). Born in 1977 in Padhrar (Khushab; Pakistan), Mahmood is an Electrical Engineer who has been involved with the Punjabi language and literary movement since his student days at Engineering University Lahore [1995-2000]. He moved to Dublin (Ireland) in 2007 due to his professional commitments and lives there with his family. Was born in a poor Dalit family of Bundala village in Jallandhar district, happens to be the first Punjabi poet with dalit consciousness. Aalam was not able to go to school, and learnt basic Gurmukhi letters from his friends. Even though illiterate, Aalam emerged as one of the popular folk-poets of stage before the Partition. All the four books of his poems were full of social and economic issues of the deprived and oppressed caste-communities. On political and social issues, Aalam wrote like a revolutionary. No wonder, even Paash (who has become symbol of Punjabi revolutionary poetry) considered Aalam the first revolutionary poet of Punjab. Came to master the Gurmukhi, Urdu, Persian, Arabic and Sanskrit scripts and languages with the help of several non-formal teachers who were stunned by his sharp intellect. Not only that he had studied Vedas, Puranas, Smritis, Granth Sahib and Quran during his teenage, he also had read wide range of secular literature and also reached the stage of ‘Brahmgyani’ through meditation and contemplation like Sadhu Wazir Singh which is apparent from his assuming the title of ‘Arif’. His first poetical work ‘Fanah-dar-Makan’ was published when he just turned 20. This was written in sadh bhasha and emphasised the quintessential element of mortality in human existence. Due to somewhat difficult language and style of composition he was advised by Baba Sawan Das, his Sanskrit teacher, to revise it and write in simple language. He was bursting with so much of creative energy that he altogether produced another kissa entitled ‘Fanah da Makan’, first published in 1915, which became very popular throughout the Punjab while a household reading in his own region of Malwa as it was sold in several hundred-thousand copies. The work which made Daya Singh a household name through the width and breadth of the Punjab was Zindagi Bilas which was completed on 23rd August 1916. It is in this work where his vast religious, spiritual and secular knowledge is manifest. Following the ancient wisdom that average human life is of 100 years, Daya Singh composed lyrical poems on each year. Overall it is a touching didactic poetry that caught masses’ imagination which became the most published, read or heard poetic creation next only to Waris Shah’s ‘Heer’. The importance of Sadhu Daya Singh is manifold. First and foremost, he is the first Dalit Punjabi poet to attain the widest possible popularity, the kind of popularity enjoyed by Waris Shah, in the undivided Punjab. Secondly, he reinforces what was moral and what was ethical when it was desired most. Thirdly, Daya Singh’s poetry is free from any kind of sectarianism and is thoroughly secular in the prevailing communal environment. His concern and message was universal in content; it is libertarian rather than restraining. Lastly, Daya Singh not only produces good poetry but emerges as an intellectual of his age. Through the study of scriptures and traditions of major religions of the land, he arrives at his own understanding of human existence that he corroborates from his practical life and keen observation. He lays great stress on practice than theory, on deeds than the scriptural knowledge. Here his background of labouring class provides him insights. Emerged as a poet, teacher, polemicist, journalist, orator and ardent Sikh missionary who turned out to be the pillar of the Singh Sabha movement. Ditt Singh’s scholarly talents came in handy for the Sikh movement. Lahore Singh Sabha floated a weekly newspaper, the Khalsa Akhbar in 1886. He assumed editorship of the paper in 1887 that he continued till his death in 1901. Meanwhile, he was also appointed as a professor of Punjabi at the Oriental College, Lahore. He wrote more than fifty books and pamphlets on wide-ranging subjects, from love-lore to Sikh traditions, from history to ethics, from heroes to charlatans as he also produced polemics. Even being a leader in the limelight he could not escape the overt and covert assault of untouchability from his fellow and follower Sikhs. Attained the status of ‘Brahmgyani’ and prolifically composed philosophical and cultural poetry, both in Punjabi and Braj bhasha. A small part of his published poetry as selected by Shamsher Singh Ashok in ‘Siharfian Sadhu Wazir Singh kian’ is a window to a wide range of his knowledge, from religious and spiritual to social and political. He questions all religious establishments and argues for a non-dualistic approach to life. Since he was engaged in deep thinking and in giving creative expressions to his thoughts numerous disciples including poets joined his dera. All the five of his identified poet disciples including two young widows came from the high castes. One of them is veer Singh Sahgal while Nurang Devi turns out to be the first Punjabi poetess groomed under his tutorship. Kaaf- kade Koran di lod naahin, vekh pothian thothian paarde han. Rehras namaz di khahash naahin, dharamsal masit nun saarde han. Gang, Gaya Pryag nun tiyag keeta, gor marhi niyaz na chaarde han. Hoye aap nirpakh Wazir Singha, pakhan dohan di khed nun taarde han. Bhai Jaita was very close to Gurus’ household as he was the one who had carried the severed head of Guru Teg Bahdur from Delhi to Anandpur and in his late years composed a devotional epic ‘Sri Gur Katha’ around Guru Gobind Singh’s life somewhere around 1699-1700. Garab maih jeev kau gyan na hohe hain. Ar chintan bin janam na koye hain. Chintan jeev kai chit ki loye hain. Ta kar dharni janani hoye hain. Shamsher Singh Sandhu learnt the art of writing Gazal in 2002, after the age of 65. Since then, he has published the following six collections of poetry. Sandhu has been lauded by prominent critics and writers in India and Canada including Sulakhan Sarhadi (India), Dr. Balbir Singh Puni (Vancouver), Dr. Harbhajan Singh Dhillon (Calgary), Prof. Mohan Singh Aujla (Calgary), Prof. Manjit Singh Piasa (Calgary), Iqbal Arpan (Calgary) and Kashmira Singh Chaman (Calgary). His first book ‘Ga zindgi De Geet Toon’ can be read on apnaorg.com. Parveen Malik is a writer of fiction, teleplays and radio programs; a known literary personality on radio and TV; and, a highly respected publisher of Urdu and Punjabi literary books. Parveen has published two collections of short fiction titled ‘Ke JanaN MaiN Kaun’ and ‘Nikkay Nikkay Dukhh’, an Urdu novel ‘Aadhi Aurat’, and a translation in Urdu titled ‘Siseskatay Log’. At this time, her autobiography is being serialized by Monthly Swer, and her travelogue by Quarterly Punjabi Adab in Lahore. 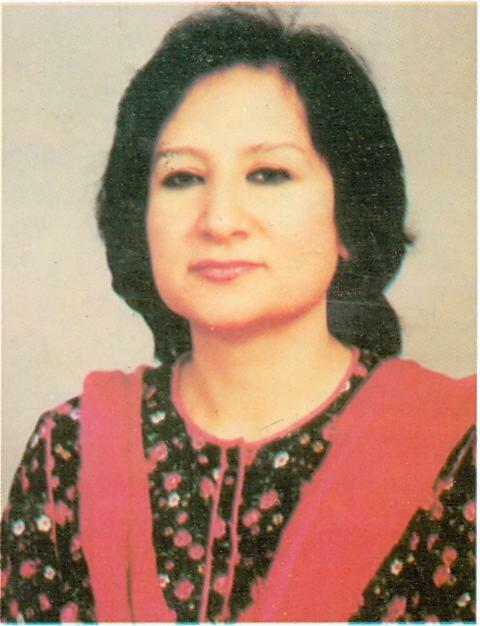 Parveen wrote a literary column titled ‘Punjab Rut’ for Lahore Radio that continued on from 1988 to 1998. During this time, she wrote a seriel ‘Dukh Sukh Saaday’, and many other plays and programs for Pakistan Radio. From 1983 to now, she has written numerous screenplays for Pakistan Television including ‘LameyaN VaaTaN’, ‘Ke JanaN MaiN Kon’, ‘Junj’, and ‘Nikkay Nikkay Dukh’. She also initiated and anchored a literary discussion program called ‘Likhari’ for Lahore TV. Parveen was born in District Attock where she completed her school and college before coming to Lahore to study Journalism. Her first job assignments were with Daily Azad and Weekly Nusrat. She also worked as Chief Editor with Urdu Monthly Mahe Nau and Monthly Pak Jamhoriat. Later, she moved on to serve as Deputy Director of the Federal Ministry of Information and Broadcasting, and then Secretary of Punjabi Adabi Board. Parveen began Sarang Publications in 1995 to provide a select list of Urdu and Punjabi literary titles. Earlier, she had published monthly magazine Palak from 1983 to 1985. British Punjabi poet Mazhar Tirmazi is a distinct voice in modern Punjabi literature as he explores the theme of separation from the homeland with persistence, and in all its manifestations till it evolves into a constant longing for the lost/unatainable. Author of four collections of poetry, Tirmazi’s work is a part of the curriculum in Punjabi language courses at Chandigargh University; his play on partition titled ‘A Lifetime on Tiptoes – Healing the Wounds of Partition’ has been performed/read in English, Wellish and Punjabi in India, Pakistan and UK. He is a recipient of the British parliamentary award ‘Punjabis in Britain’ that recognizes poetic acumen, linguistic ability and promotion of Punjabi culture. And most important, Tirmazi is the author of a beautiful and popular song ‘UmraN LangiaN PabaN Bhaar’ (a lifetime on tiptoes). His published work includes ‘Jag da Sufna’ (dream of awakening), ‘Thandi Bhubal’ (cold ashes), ‘Kaya Kagad’ (1998) and ‘Dooja Hath Sawali’ (2001). His poetry also features in Kings College anthology ‘Mother Tongues’, and in a collection of underground poems titled ‘Waiting Room’. Tirmazi has worked as a journalist in London for Urdu-English bilingual daily newspaper Awaaz International and Akbar Wattan, and has organized conferences to promote Punjabi language in Britain and Australia. Surjeet Kalsey is an accomplished Punjabi Canadian author of poetry, short fiction and drama. In her writings, Surjeet explores the lives of Punjabi Canadian women and communities from aware ‘immigrant’ perspectives. Surjeet began her career as a poet in 1979 with a collection of Punjabi poetry titled Paunan Nal Guftagoo (Chandigarh 1979), and has since published six books of poetry with Naam Tiharey (Amritsar 2006) being the latest. From 1994 to now, Surjeet has given us four collections of short fiction in Punjabi and English; has written and staged seven Punjabi plays; produced countless articles and dissertations on history, literature and the status of Punjabi women in Canada. As well, Surjeet has a passion for healing practices, and has made ongoing contributions in this area of her work. She is most involved with the creation of therapeutic drama by developing scripts and staging plays through interactive and healing group processes. Surjeet has played pioneering role in developing Punjabi literary and cultural communities in British Columbia and Canada. 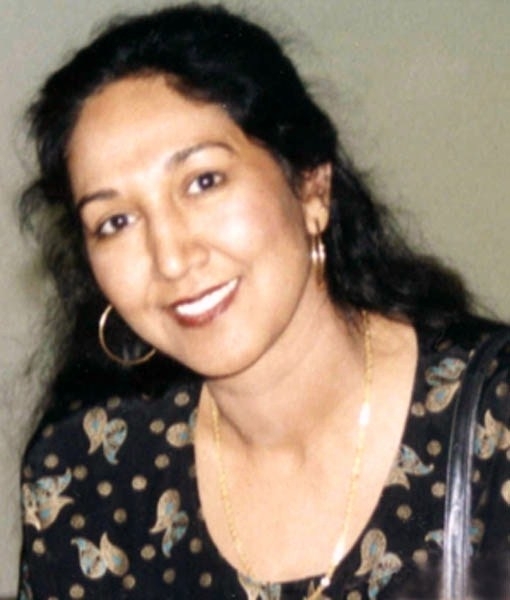 In 2005, Surjeet was awarded by Calagry Punjabi Sahit Sabha for her achievements. Poet, Playwright, Linguist and Literary Critic Najm Hosain Syed is unique for having created the greatest positive impact on Punjabi literature, language, and the movement for the integrity of Punjabi in West Punjab. The author of over 22 literary titles, Najm Hosain Syed runs weekly ‘Sangat Shah Husain’ since the Seventies, a literary gathering that is may be the highest school of learning that Pakistan can offer. Classic Punjabi poets such as Shah Madhulal Husain, Bulleh Shah, Gurunanak, Waris Shah and Damoodar are read, interpreted and discussed line by line over months and years. Such schooling has produced most of what we now have in Punjabi writing and publishing. Suchet Kitab Ghar and Monthly Pancham published by Editor Maqsood Saqib and Faiza, Kitab Tarinjan operated by Author Zubair Ahmad, and Rut Lekha are the kind of fine organizations that are supported by Najm Syed. Earlier, he had encouraged the establishment of the first educational institution in Lahore to teach Punjabi at a graduate and post-graduate level, the Shah Husain College. Below are links to the renderings of some of Najm Hosain Syed’s poetry and plays, and to more information about him. Roop Dhillon, full name Rupinderpal Singh Dhillon, was born and raised in the UK but was influenced by Punjabi language since childhood. However, he was not allowed to learn the language as his father felt it served no purpose or use. Instead Roop was encouraged to focus on English Literature. Roop wrote his first poem, Pater Dominus in 1989. Since then he has written and published several pieces of prose and poetry in English. In 1999, he encountered Punjabi literature and culture in a Sikh exhibition, and began writing The Annexation, an English novel about Sikhs but the research made him learn to read and write Punjabi. “This particularly occurred because Professor Khushwant Singh commented that Punjabi was a weak language with insufficient words to describe things. This annoyed me, and I went on a mission to create new words to describe my modern urban environment. This led me to write my first Punjabi novel, Neela Noor, written as a western style novel with anglicized Punjabi grammar reflecting my peers’ use of the language. It is the first Punjabi novel published in the UK; and, it is also significant in that it is secular, set in Pakistan, India and Europe” Dhillon said in an email interview. Along with The Annexation, Dhillon is working on a Punjabi Sci-Fi Novel set in Southall. He wants to be involved in the development of Punjabi Literature encouraging his peers and younger western born Punjabis to experiment with Punjabi in reflecting their experiences and beliefs. “This” he believes “will enrich Punjabi Sahit”. Roop has a Management Degree from Oxford Brookes University and a Masters in Design and Manufacture from De Montfort. He is affiliated to the ACCA, being an Accountant by profession. He lives in England. Amrita Pritam began writing at an early age, and her first collection of poetry was published when she was sixteen. From there she went on to create the most impressive body of work in Punjabi literature through her poetry, novel, short story and autobiography. Amrita published thirteen books, eight of them novels, and received Sahitya Academy Award for ‘Sunehe‘ in 1956, Bhartiya Jnanpith literary award for ‘Kagaj te Canvas‘ in 1982, Padma Vibhushan and D Litt degrees from the universities of Delhi and Jabalpur, and from Vishva Bharti University. Amrita’s novel ‘Pinjar‘ has been made into a movie by director Chandra Prakash Dwivedi. The French version of this novel won the La Route des Indes Literary Prize in France while its film was awarded the Screen and Zee Telefilms Award. Amrita also was the founder and editor of a monthly Punjabi literary journal ‘Nagmani’ (1966-2003). Mohammad Mansha Yaad was born in 1937 in Sheikhupura, Punjab Pakistan. He writes short stories, novels and columns in both Punjabi and Urdu. He has contributed to most literary journals in the country, and his screenplays have been produced by Pakistan Television. Mansha Yaad is the author of twenty one books including award winning novel ‘Tawan TawaN Tara‘ (Masud Khadarposh Award and Waris Shah Award for 1998), and a collection of short fiction ‘Wagda Paani‘ (Waris Shah Award 1987). He also won a Pride of Performance from the Pakistan Government in 2004 for his literary contributions. Also view the website of Halqa Arbab-e-Zauq Islamabad, an organization Yaad founded in 1972. Retired in the rank of Lt. Colonel in 1974, Nadir Ali has been involved ever since in Punjabi writing and Punjabi language movement. He settled down in Lahore and since 1974 has been a regular member of the Sangat at the residence of Najm Hosain Syed. He started writing for the daily Frontier Post and later, for The News in Lahore on the subject of Punjabi bhakti/sufi poetry. He continues to be a columnist and book reviewer for The News. He lived in New York from 1984 to 1989 and was a member of the Saahat Sangat in New York. There he mostly read his poetry which was collected and published, Bol Jhutay te Suchay (1989). He writes short stories in Punjabi of which three collections have been published so far. His last collection Kahani Praga was given the Waris Shah Memorial Award as the best book of the year in Punjabi in 2005 by Pakistan Academy of Letters. A few of his short stories have been translated into English and Urdu. Also, Lahore Television dramatized his story Ik Maani DaaniyaaN Di in 1999. First published as An Afternoon with Nadir Ali by Moazam. Ajmer Rode is a Punjabi Canadian author living in Vancouver BC. A poet, playwright, translator and a cultural activist he writes both in English and Punjabi. 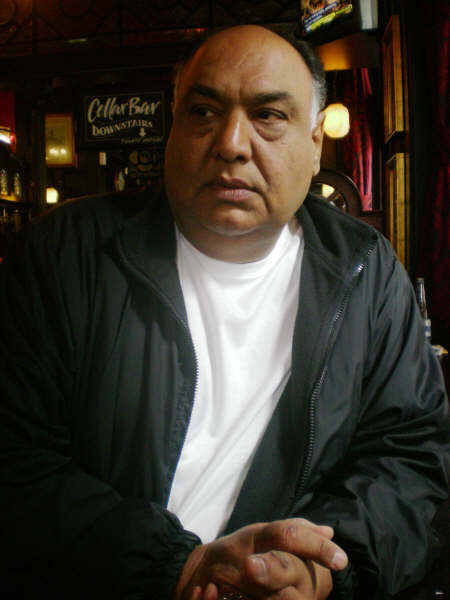 Rode is one of the poets whose work has been added to Poetryinternationalweb with eight of his poems in English along with Punjabi translations. One of the poems ‘Kalli’ reflecting on the bonding between human and animal life in Punjab, received special attention from editors. The poem was also displayed with a painting Homecoming in a Surrey Arts Gallery exhibition (Jarnail Singh – Discovering the soul of Punjab) in 2004. AMRITA PRITAM WROTE A CART LOAD OF LITERARY BOOKS. BUT SHE IS POPULARLY KNOWN ,REMEMBERED AND ALIVE FOR HER POEM ADDRESSED TO POET WARIS SHAH . all authors are too good. there are hundreds famous writer in punjabi literature but you guys included only amrita pritam ,why? I Really like this page having atleast some information about our great writers. I would really encourage people to see this and add more stuff to this one. Great Thanks !!! Gurmel writes village diary and his journeys. Kindly suggest me a suitable publisher for publishing the Punjabi Poetry Book of this meek fellow. This meek fellow is a Punjabi lover and mare a small, growing leaf of the huge tree of Punjabi Poetry. You may check out for my poems on the URL given above and reiterated hereunder and kindly help me and provide a suitable publisher as I wish to get my book of Punjabi Poems, published. assi rehnde door punjab to…. I like your writings because I see future in you, other may contradict with it. Reason why I said so ? Because I have always interact with younger generations in different countries while I was teaching. How much it will accepted by the wide audience, I do not know. I would be really great thankful to you. Good work i was looking for kewal kaurs photo and got it but why we are not discussing good work in punjabi electronic media i mean good punjabi documentary etc. My potential Publisher is Chetna Parkashan of Ludhiana . The man I have been dealing with is Satish Gulati. He states that there are so many errors, that it is almost a re-write. He will be sending the pages he has worked on ( might be up to 40 pages) in the next few days. I have arranged a trip to India towards the end of the month. I guess what we are looking for is someone familiar with a western mindset, pronunciations of English and European words as well as Punjabi. I know of Chetna and met Satish sometime ago. You are right that you do need someone with a UK mindset and modern outlook. Among the Punjabi writers there are very few who can fit this description. Most of them are ‘Lakeer de Fakir’ and they won’t understand what you are trying to achieve. As for me, I really do not have much spare time. In the past I did ask a few people and the declined for their own reasons. I’ll certainly let you know if I think of someone else. My publisher will in a few days send me the first 40 pages of my novel in pdf. I have in many places used the name of western cities, either using western pronunciation or the original language of the country. He is unsure of this and a few other things I have said or done. Can you proof read the 40 pages and suggest corrections if necessary? He advised me to send to an experienced writer in Punjabi, before returning the work to him with indication of whether I am happy or not. Beautiful site, It can give me lot of info. SAFNA wich tuhadi te Ponam jee da creative Slide show “Life on Tiptoes” wekh ke bada changa lagya. A new idea, an intelligent and different production. Poetry, Photgraphy and Music, all blended so beautifully, in harmony. Well done and keep it up.